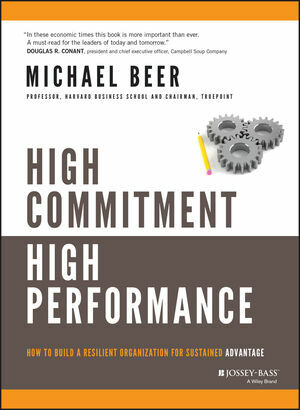 Integrating knowledge from strategic management, performance management, and organization design, strategic human resource expert and Harvard Business School Professor Michael Beer outlines what the high-commitment, high-performance organization looks like and provides practitioners with the transformation process to help them get there. Starting with leaders who have the right values, Beer shows how to weave together a complete system that includes top-to-bottom communication, organization design, HR policies, and leadership transformation process, and outlines what practitioners must do in HR, structure, systems, goals, culture, and strategy to create high-performance organizations. Michael Beer is Cahners-Rabb Professor of Business Administration, Emeritus at Harvard Business School and chairman of TruePoint, a research-based consultancy. Beer is the author or coauthor of nine books including Managing Human Assets and the award-winning The Critical Path to Corporate Renewal.